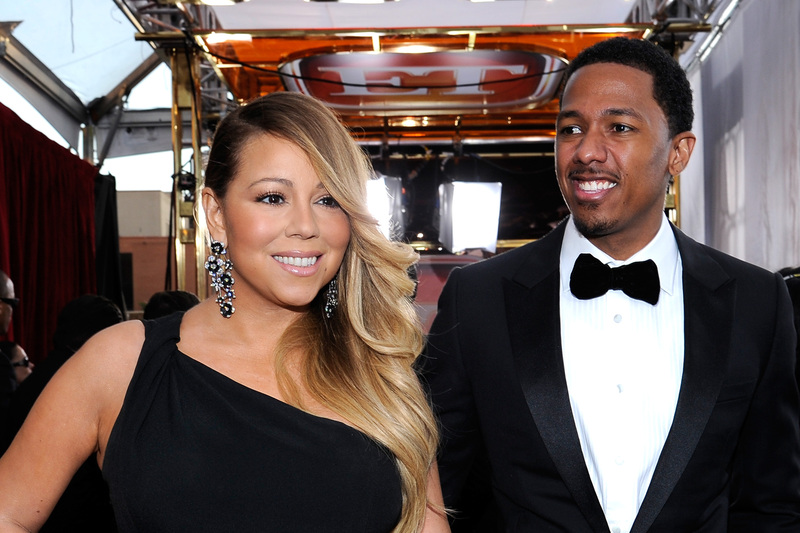 Mariah Carey and Nick Cannon seem to be in the midst of an awkwardly messy divorce. Ever since it got out that the two have been separated for a while and were going to get a divorce, it seems that every other detail that has leaked has been painful. First there was the rumor that Carey was angry with Cannon for sleeping with Kim Kardashian and "tore into him for weeks" over it. Then there was the rumor that Carey hired security to keep women away from Cannon, although Cannon denied that the divorce was due to his infidelity. Now TMZ reports that Cannon and Carey are on good terms for now, and that's good news if only because it might put an end to these rumors. "We're told they are not only on good terms, primarily for the sake of their kids," said the TMZ report. "[But] they even went to dinner Friday in Tribeca." I don't know what made Cannon and Carey wake up and realize that the people who are getting most hurt by the wild stories flying about the breakdown of their relationship are their twin children Monroe Cannon and Moroccan Cannon, but I'm glad that they're trying to be civil going forward. The twins are only three years old, and it would be nice if the first thing they saw when they learned how to Google their parents wasn't another story about how Cannon thinks Carey is hysterical and wants to get the children away from her. Cannon confirmed that the two of them have been living in separate houses for months, so the fact that they're playing nice now shouldn't be taken as an indication that they might work things out. At this point, TMZ reports that they're solely trying to make the divorce as easy on their children as possible. Between that and the confidentiality agreement that Carey had Cannon sign, hopefully now Carey and Cannon can work things out in a private way that's beneficial for all involved. Getting a divorce after six years of marriage is difficult enough, especially when you can no longer stand to be in the same house, but slinging mud at one another and airing your dirty laundry to the world is the most awkward way to do it. It's always sad to see the loss of another celebrity couple (Selena Gomez and Justin Bieber, notwithstanding), but it's even sadder to see a divorce and custody battle turn ugly.